LG's cutting edge designs inspire homeowners to upgrade to the kitchen of their dreams, improve their laundry experience, save time and become more efficient with top-performing products. 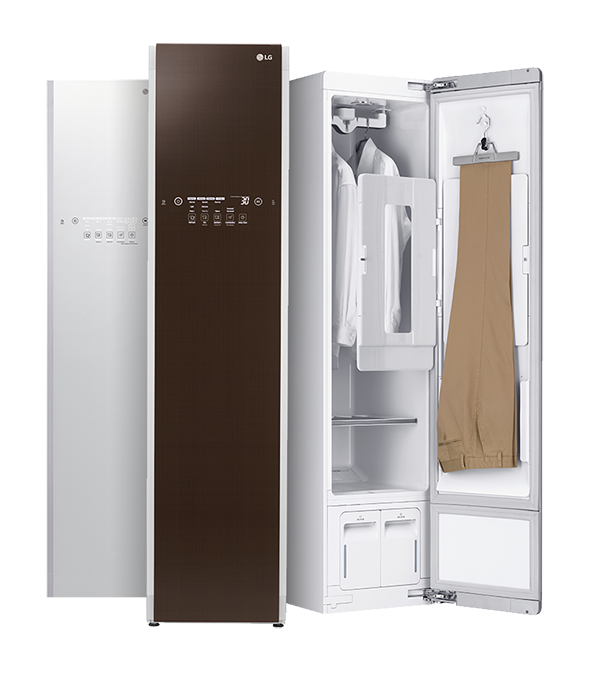 From LG InstaView Door-in-Door refrigerators to LG TWINWash washers, the latest in innovations are all right here. These cutting edge refrigerators bring distinctive styling and innovation to your kitchen with a tinted glass panel that allows you to see inside the easy-access door without letting the cold air out. Simply knock twice on the glass to illuminate the contents within. We love this new counter depth refrigerator. The Insta-View door is wonderful! It holds a gallon container easily. We keep butter, condiments, a gallon of orange juice, and coffee creamers in this section so they are easy to get to. The fresh vegetables and fruit stay crisp quite a bit longer than our previous GE Profile side by side refrigerator. Five powerful water jets surround clothes from multiple angles, allowing detergent to penetrate deep into fabrics and power through larger loads in less time. You'll get peace of mind when you use the Allergiene cycle that uses the gentle power of steam to reduce common household allergens in baby clothes, bedding and more. Moms best kept secret , every mom needs this! I wasn't sure if I would like or even use this new pedestal washer. It has blown me away with it's functionality and easy of use! It's the best kept secret in my laundry room and is a must have for any busy mom and or family! Tired of being burned by inconsistent baking results? Not anymore — LG ProBake Convection technology delivers even baking results on every rack, every time. Like professional-style ranges, the heating element has been moved from the bottom of the oven to the back wall for optimal heat distribution. You enjoy consistent browning on top and bottom, and every cookie that's baked to perfection. Plus, the electric oven roasts 20% faster than LG conventional ovens. I love my new range! I have never had a conventional oven it really makes a difference when baking! I also love the bright blue interior of the oven! See virtually no spots. TrueSteam technology offers maximum steam coverage for 60% fewer water spots and the most sparkling clean dishes. Percent in water spot reduction compared to comparable LG non-steam dishwasher on delicate wash cycle. Results may vary by model. Results based on testing with LG LDF7774ST as of February 2018. What a great dishwasher. Does all described. Funny when we first ran the dishwasher the first time, we could not hear it run. We actually felt the unit and Really thought it wasn’t running. But, in a few hours they were washed perfectly. Unreal how quiet this unit is! Cleans beautifully. Highly recommend. Gone are the days of wondering if the kids left the refrigerator door open, or constantly checking on laundry. With new ways to control your home, a future-ready open platform and the most extensive range of Wi-Fi–enabled appliances available today, LG appliances with SmartThinQ technology will change the way you think and the way you live. Think again. Based on manufacturer published specifications as of September, 2017. Beautiful inside and out, with precise, even heating, these microwaves feature the LG Smart Inverter for precise, variable power that provides more even cooking and better defrosting. Love this microwave! It looks so amazing and fits perfect! Excellent size and design. I love a sensitive cooking function, it does just exactly what i need!!!! It cooks very quick! 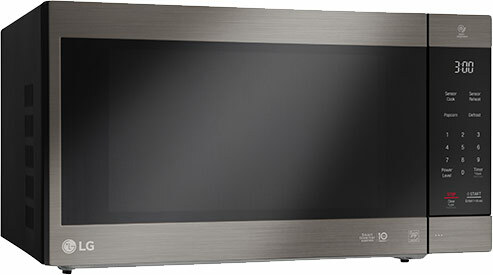 I also love all melodies this microwave plays, and touch screen works so great! Lg just made one more amazing appliance, not a surprise ;) ! Where most over-the-range microwaves only cover the rear of the cooktop, ExtendaVent™ 2.0 provides powerful ventilation over virtually the entire cooktop, back to front, to reduce smoke and lingering cooking smells. 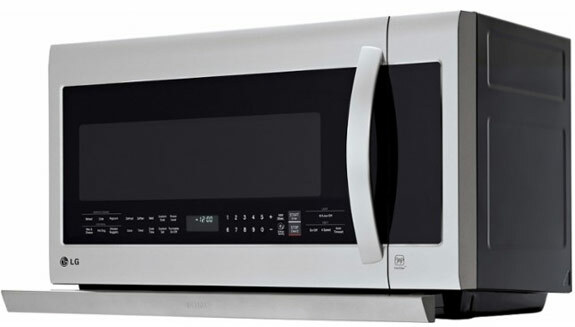 The microwave is super and looks sleek with the controls across the bottom of the door. But the real improvement is the effectiveness of the exhaust fan. It has a powerful fan (amazingly quiet too) and a telescoping hood that extends out over the front burners. Get ready to work, play, and everything in between. With just the touch of a button, the LG Styler gets your outfits fresh and ready to go when you are. Using the gentle power of steam, the Styler reduces wrinkles, reduces odors, and helps sanitize any garment in minutes. The elegant, efficient design makes it a perfect fit for any area in your home. Shop all the LG products you need for home or on the go. 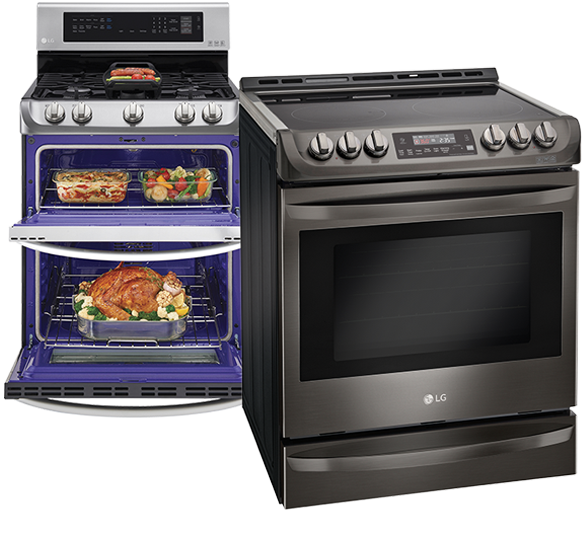 Plus, find the largest selection of LG appliances under one roof.